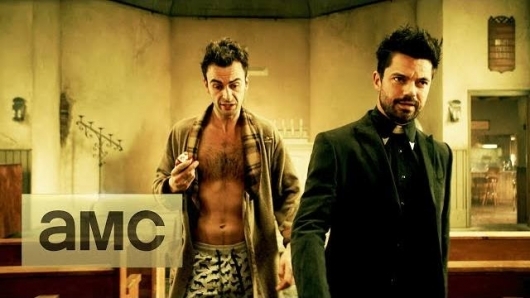 AMC has released a teaser trailer for season two of Preacher, their adaptation of the Garth Ennis and Steve Dillon comic book of the same name. The show comes from Seth Rogen, Evan Goldberg, and Sam Catlin, with Catlin acting as showrunner. 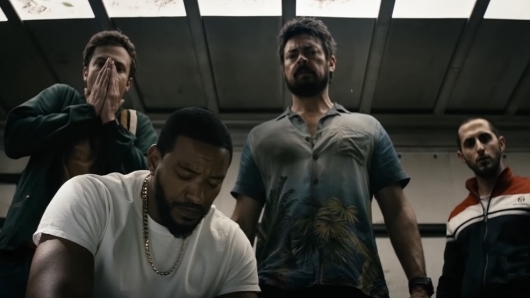 It stars Dominic Cooper, Ruth Negga, Joseph Gilgun, and others. Continue below to check out the teaser trailer. Watch The First 5 Minutes Of The ‘Preacher’ Finale! 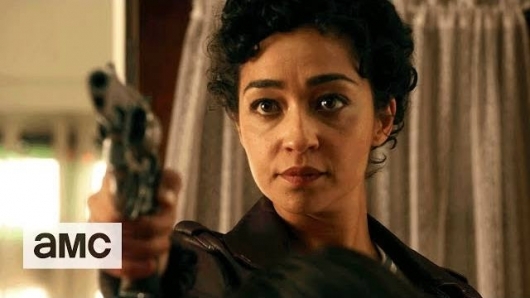 To whet the appetite for this Sunday’s season 1 finale of Preacher, AMC released the first five minutes of the episode. To bring you up to speed, Jesse Custer (Dominic Cooper) has a powerful half angel/half demon hellspawn called Genesis inside him. He made perhaps the biggest promise in recorded history… promising God himself will show up in church on Sunday in Annville, Texas. If God doesn’t show, he is forced to publicly denounce the Lord and sign over his church to meat packing magnate, cult leader and psycho killer Odin Quincannon (Jackie Earle Haley). If that wasn’t enough pressure, a legit Cowboy from Hell (Graham McTavish) has been commissioned to kill him by renegade angels Fiore (Tom Brooke) and DeBlanc (Anatol Yusef). Check out the first 5-minutes below. SDCC 2016: Watch ‘Preacher’ Panel Highlights! San Diego Comic Con just finished up, and soon with it is Preacher which is completing its first season on AMC. 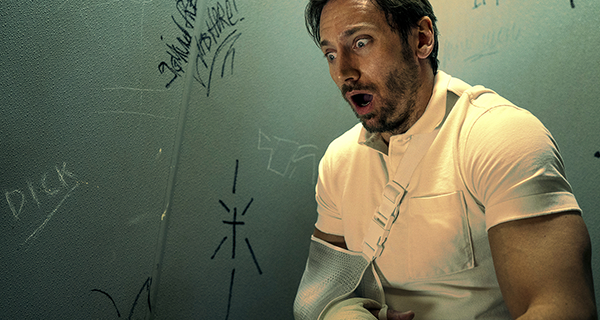 Based on the acclaimed graphic novels by Garth Ennis and Steve Dillon, and brought to you by executive producers Seth Rogen and Evan Goldberg, Preacher has filled the summer void on AMC for The Walking Dead fans pissed off about cliffhanger endings. 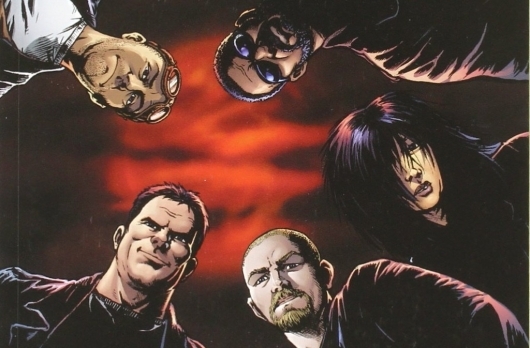 At SDCC, the Preacher panel was hosted by Kevin Smith and featured Ennis, Rogen, and stars Dominic Cooper (Jesse), Ruth Negga (Tulip), Joseph Gilgun (Cassidy), Graham McTavish (The Cowboy), Ian Colletti (Arseface aka Eugene). Checks out the videos below. 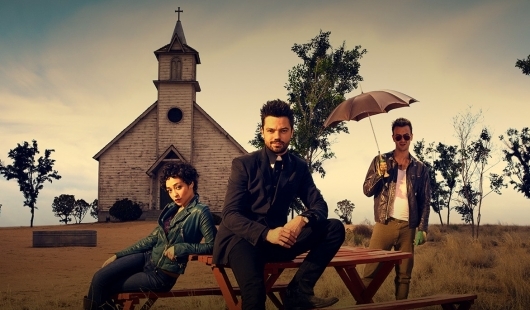 Preacher Jesse Custer (Dominic Cooper) is being pulled in multiple directions. There is Tulip (Ruth Negga), his ex partner and girlfriend who is lustfully trying to persuade him back to his darker urges. There’s Cassidy (Joseph Gilgun), the Irish vampire who argues with him over faith and God’s path. There is the town of Annville, Texas, that is in desperate need of salvation. And of course, there is an otherworldly force possessing him that has the power to make people listen to his words… to the letter. Last week, two men came seeking this power, but Cassidy took them out using a chainsaw and the good book… to the head. Interestingly, the two men left very dead by Cass were seen very much alive by the sheriff at the end. 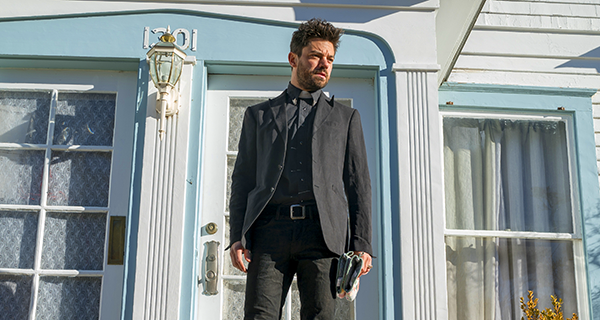 Two weeks ago, Preacher debuted on AMC and introduced the TV audience to Jesse Custer, a Texas Preacher who is trying to carve out of new life and leave a violent one buried in the past. 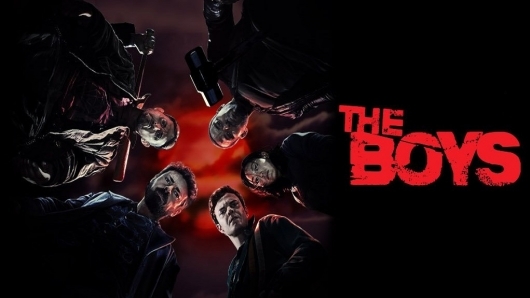 This proves hard for Jesse (Dominic Cooper), as he and mysterious new friend; a vampire named Cassidy (Joseph Gilgun) beat up an entire bar full of hooligans, including abusive father Donnie (Derek Wilson), who ends up with a graphically broken arm. While Jesse’s past, particularly his ex-girlfriend and partner Tulip (Ruth Negga), are trying to bring him back to the dark side, a strange otherworldly force has inhabited him. 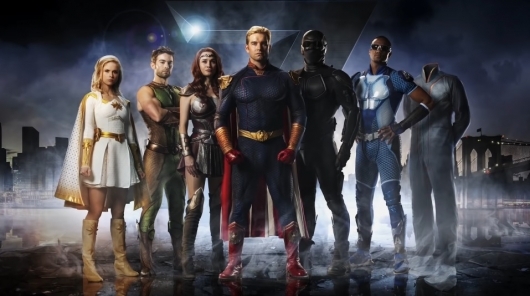 This same force has been turning men of god (and Satan) inside out and outside in, all over the world, and seemingly has a home now in Jesse Custer. This force is so powerful, that when Jesse told an annoying congregant to “open his heart” to his mother, the man flew to Florida and ripped his heart out of his chest in the old folks home! Right on cue, two strange men stalking the mysterious force show up in Annville likely to cause trouble.